Your secure & affordable local storage & office solution. 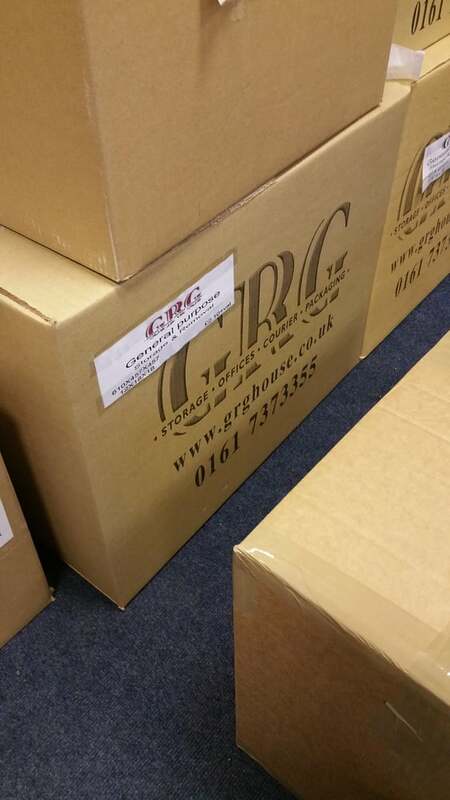 GRG Storage offers self-storage solutions for individuals who need to store goods for house removals or for general self-storage solutions in Salford, Greater Manchester. Our storage units are popular amongst businesses and online retailers who store their goods cost-effectively with GRG. We can also help with postage and packaging supplies. Worried about where you are going to leave your belongings after term? GRG Storage has secure and affordable student storage solutions especially for you! We offer shipping containers to rent at highly competitive prices in Salford, Manchester. Our containers come in different sizes and are all 24hr access. At GRG Offices, we offer quality private serviced offices for 1 person or more. 24 hour access is available and the suites are furnished with desks, filing cabinets and other office furniture. We offer shared desk space for small businesses, start-ups, freelance workers or individuals. You get your own desk space in a vibrant business hub in Greater Manchester. We have professional meeting and conference rooms to rent hourly, daily, weekly or longer term fully serviced with computers, projectors, smart boards and office furniture. You will be given a key to your personal mailbox at GRG House. You can send your mail here and collect during office hours. We can also forward your mail to your desired address. We sell a range of products in our packaging store including high quality small and large bubble wrap available in varying lengths and widths. We sell single and double walled cardboard boxes for removal, storage or general purpose use. Browse our packaging store to find a size that suits your needs! In our packaging store, you can find a wide range of parcel tapes including clear, brown, fragile, handle with care, masking tape and duct tape at great prices. Our high quality shrink wrap is available in clear and black in different degrees of thickness. They are perfect for a range of uses including pallet wrapping and general packaging. At GRG Courier, we offer a reliable same day delivery service for letters and parcels that need to be sent urgently within the UK. Click here to find out more! We also offer a next day delivery service that you can trust because we only work with reliable courier companies such as Royal Mail, UK Mail, DHL & DPD. We send documents & parcels to international destinations including all over Europe, North & South America, Africa, Asia, Australia, New Zealand and more! We offer a signed collection & delivery service for businesses and individuals. You can send your parcels to us and we will pick, pack & dispatch them for you. Call us today for a FREE, no obligation quote and to find out more about specific size requirements and pricing for your self storage or business needs. Your Secure and affordable local office & storage solution. The offices were developed for 1 to 20 person office. Soon it was attracted by training companies and new starters in that climate that entrepreneurs were active. Training/meeting rooms equipped with projectors with screen and other facilities under name of GRG Offices. The first phase of self-storage finished January 2006. As the business and domestic customer needs grow for packaging materials GRG Storage started providing bubble wrap, cardboard boxes, Shrink wrap, Parcel Tapes and other accessories. Then GRG packaging established. As demands grew for online and eBay trader, GRG storage equipped itself with fulfillment. Packing their sold items and ship them to UK and rest of the world. has a number of secure self storage units available for individuals; start up or growing businesses that needs self storage unit in Salford, Greater Manchester..
on the first floor provides office space, hot desk, desk space or private office for 1 -12 people. It offers conference, training or meeting rooms. We also offer Mail Boxes and Virtual office packages. is now incorporated with GRG Storage and it provides cardboard boxes, bubble wrap, furniture protection and accessories for your removal, storage, archiving or general purposes. Is a handy addition which provides affordable rates as well as reliable service. This will help to take the strain off the business logistic. I left my luggage with GRG House for 3 months in the summer of 2013. I am a regular user of storage units in summertime but at GRG House my belongings, especially fragile ones were catered for exceptionally. I returned in September to find my luggage as I left it – well packed, nothing broken or missing. I will definitely use again. I’ve been running my online business from GRG House for 9 years while my stock has been safely stored. They provide postage labels for my items via Parcelforce and have collection points in the building. While I’m on holiday, the friendly staff pick, pack & dispatch my items for me. Super efficient business centre – highly recommended! Presentable meeting rooms and friendly staff. I rented a meeting room to hold classes for my students. It was presentable, clean and good value for money. It was already furnished with tables, projectors, etc. and included a mailbox free of charge. I was also very impressed with the level of management of the room as they ensured it was tidy everyday. My name is Stephanie Turner and I have been working for GRG House for the last five years. I am normally working Monday to Friday between 15:00 and 18:00 and Saturday 10:00 to 14:00. My name is Amandeep Shergill and I have recently started working for GRG House. I am normally working Monday to Friday between 8:00 and 15:00. My name is Hayley Young and I have worked for GRG House for over three months. I am normally working Monday to Friday between 10:00 and 13:00.